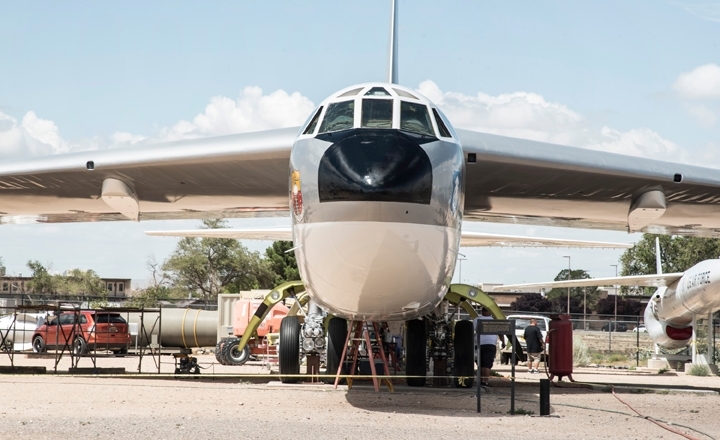 As shown by the beautiful photos in this article, the National Museum of Nuclear Science & History in Albuquerque, New Mexico, has completed restoration of Boeing B-52B Stratofortress serial number 52-0013. The ambitious crowd funding campaign to restore the iconic Cold War Era bomber was launched in Apr. 2016 and has successfully raised the founds needed to complete the restoration through Indiegogo (of which you can find the link here), a funding platform for creative projects, directly supported by individuals who pledge money. The B-52 Stratofortress is a long-range, subsonic, jet-powered strategic bomber. Built by Boeing, after it became operational in 1955, the Stratofortress remained the main long-range heavy bomber of the U.S. Air Force (USAF) during the Cold War, and it continues to be an important part of the USAF bomber force today. Nearly 750 were built before production ended in the fall of 1962. The BUFF (Big Ugly Fat Fucker, as the B-52 is nicknamed by its aircrews) has set numerous records in its many years of service. On Jan. 18, 1957, three B-52Bs completed the first non-stop round-the-world flight by jet aircraft, lasting 45 hours and 19 minutes and requiring only three aerial refuelings. The Aircraft is one of only four B-models on public display. Moreover the Museum’s B-52B Stratofortress (currently the Museum’s largest artifact) was used for atomic testing in the Pacific during Operation Redwing, 1956, and Operation Dominic, 1962. It remains the only B-52 in existence that has dropped an atomic bomb – dropped during testing. 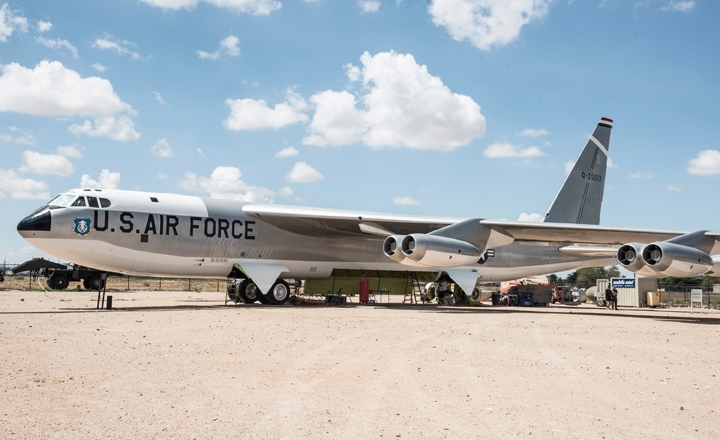 When the Limited Nuclear Test Ban treaty was signed in 1963, Albuquerque’s B-52B, was removed from the roster and was later delivered to the Museum, formerly known as the National Atomic Museum, in 1971. 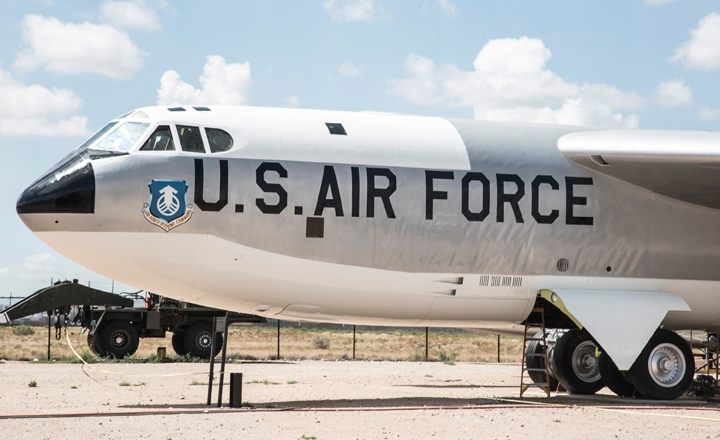 Restoration of the B-52B Stratofortress began in April under the supervision of Major Jerry Hanks, Project Manager and Heritage Park Restoration Coordinator (who also led the successful restorations of the Museum’s F-16 Fighting Falcon in 2014 and B-29 Superfortress in 2015), with help from Museum staff, volunteers, supporters and entities with personal ties to the Museum and the historic aircraft. Restoration included the B-52B receiving bodywork and a new coat of primer and paint. 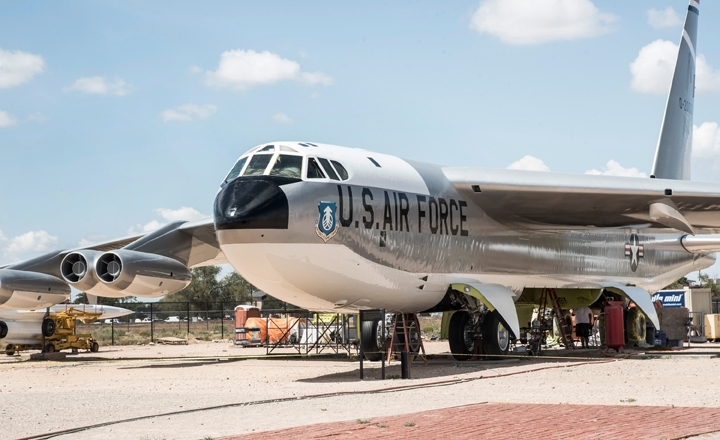 Noteworthy the B-52 restoration is part of the so called “Operation Preservation,” a multi-year campaign focused on repainting and refurbishing the iconic aircraft in the National Museum of Nuclear Science & History’s nine-acre outdoor exhibit area, Heritage Park. Contributions to future Operation Preservation projects can be made online at nuclearmuseum.org.